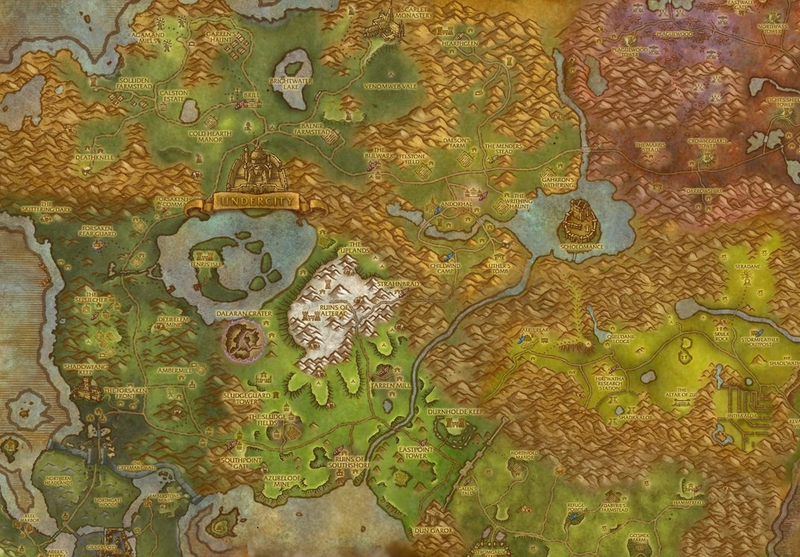 This section will explain the differences in the various factions of Undead throughout Azeroth, and their roles within the Horde, Alliance and the Kul Tiras Marines. By and large the Undead are highly susceptible to the powers of the Light, but also generally do not need food, water, or sleep. Some undead are held in a state of mind control, while others have retained their free will. Others still live in an illusion of free will, yet under the tyrannical rule of the Banshee Queen. In the end, Undeath is an unnatural state of damnation. Only the most self-aware and merciful among the Undead will make that realization and recognize that the spread of Undeath must be stopped - and it's victims laid to rest by the Light's mercy. The Scourge is a vast army of the undead, consisting of the various races who were conquered and destroyed by the Lich King during the Third War. This includes undead Humans, Trolls, High Elves, Vrykul, Nerubians, Spirits, Abominations, Frost Giants and Dragons. In addition to the vast Army of the Dead, the Scourge also includes a sect of living Necromancers known as the Cult of the Damned, practitioners of the Dark Arts who exist to lend aid to the Lich King and help bring his plans of death and destruction to fruition. 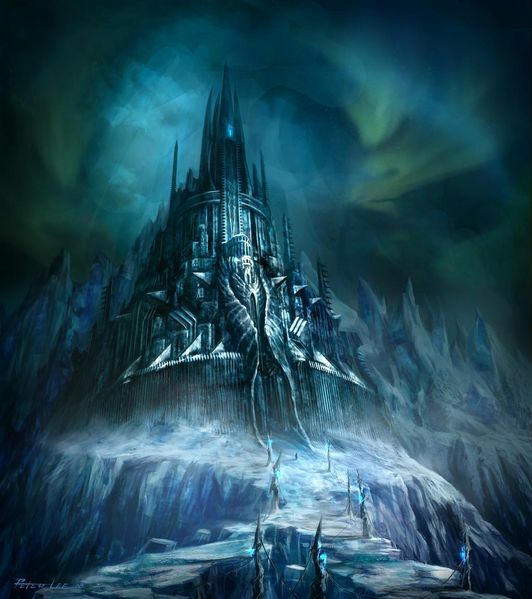 Under the service of the Lich King, the Undead Scourge ravaged and destroyed the Kingdoms of Quel'thalas and Lordaeron in the Eastern Kingdoms, as well as the Nerubian and Drakkari Empires in Northrend. After the Siege on Icecrown Citadel led by the Argent Crusade, the forces of the Scourge have faded back into the shadow, but have never been vanquished. Like all Undead, the Scourge are most readily identifiable by the rotting flesh, exposed bones and soul-less eyes. Often shambling piles of rotting meat, the Scourge possess an unnatural strength empowered by dark magic, and do not require sleep, food, or rest. They are impervious to changes in ambient temperatures and weather, particularly the cold. They are often wearing the same armor and wielding the same weapons they carried at the time of their deaths. The Scourge are consumed by their desire to destroy life in all it's forms. They are soulless, lifeless monsters which exist only to serve the will of their master. They show no mercy, no fear, no joy and no pride in anything they do. There is only one thing you need to understand about The Scourge: they mean to kill you and add your broken body to their ranks. Make them pay a high price if they wish to claim you as a champion, and rest easy knowing that should you fall to the Scourge, your Kul Tiran brothers and sisters will purge your body of the Scourge's dark magic, and guide your spirit back towards The Light. Empowered by dark magic, the Undead are extremely vulnerable to the power of The Light. The Scourge are impervious to interrogation techniques - destroy them with extreme prejudice and cleanse the taint from the bodies of the fallen so they may be one with The Light. The Scourge are one of the most dangerous foes the forces of Kul Tiras have ever faced in battle. Do not take them lightly, be prepared to fight for your life, and if your bretheren fall in battle, be ready to put them down if they are turned to Undeath. Purging a fellow Kul Tiras Marine of the curse of Undead is the final act of mercy and brotherhood you can give. The Forsaken were once the re-animated inhabitants of the Kingdom of Lordaeron who were murdered by the Lich King and incorporated into The Scourge during the Third War. The Lich King's hold on these undead was broken by Sylvannas Windrunner near the end of the Third War. 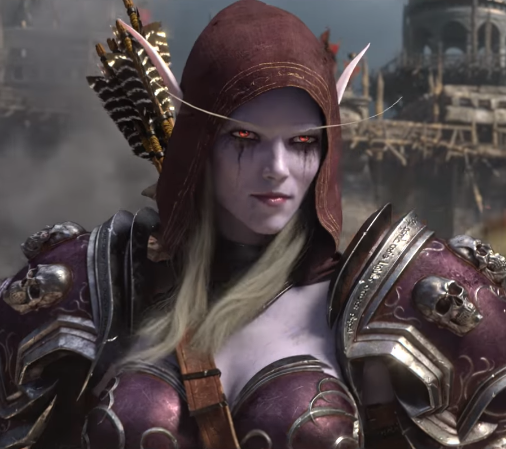 Since the fall of the Lich King, Sylvannas Windrunner has taken to desecrating graves throughout Lordaeron, exhuming the dead and using the necromantic powers of the Val'kyr to turn them into undead. She offers them a false choice: be murdered once again by her hand, or serve as her minions in miserable undeath. Still disoriented and distraught over their new form, most choose to serve her and are promptly sent out to commit atrocities in her name before they fully understand what has happened. She does this to erase the last lingering shred of humanity still within them, and force them into thinking there is no going back. Others choose to return to the grave where they belong. A brave few choose to fight back and resist the tyranny of this would-be Lich Queen. Like all Undead, the Forsaken are most readily identifiable by stinking, rotting flesh and exposed bones. Unlike the Scourge, most forsaken emit a haunting glow from their eyes. They do not require sleep, food, or rest, though some choose to partake - a pitiful attempt to remember some of the joys of life. The extent and degree of decomposition varies between individuals, with some having grafted metal reinforcements into their skeletons to shore up areas of their body with extensive bone and tissue loss. Many forsaken exist in a state of abject misery and mass delusion, fueled by hate, fear and envy. They retain all their memories from life, a distant dream which gets further and further away with each passing day existing in the unnatural state of undeath. 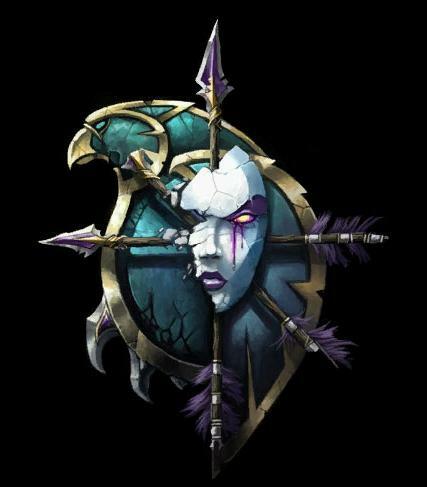 Most believe that they retain their free will, but still choose to merely exist under the tyrannical and self-interested thumb of the Banshee Queen Sylvannas Windrunner, mere arrows in her quiver to be discarded at her convenience. The Forsaken are pushed to commit and witness atrocities which would have driven them mad with sorrow in life, further destroying what little humanity they had left when they were first re-animated. A few recognize their humanity at the moment of re-animation, their grave freshly desecrated, and choose to return to the grave or seek out others who would rather fight and die a second time rather than become instruments of villainy. Others still remember their friends and loved ones, and do not wish to see them share the same fate being forced upon them by the Banshee Queen. Empowered by dark magic, the Undead are extremely vulnerable to the power of The Light. The Forsaken are near impervious to interrogation techniques. It is advised to show them mercy by destroying their rotting, corporeal shell. Cleanse the taint from the broken bodies of the fallen so they may be One with The Light, and regain the peace they lost when they were desecrated by the Banshee Queen and the Lich King. The Val'kyr re-animate exhumed citizens of Lordaeron, desecrating their graves and pushing them into the Banshee Queen's service. The Forsaken are cowardly by definition, fearing the death which has already taken them once more, and fearing the judgement which awaits them for having committed atrocities in the name of the Lich King and Banshee Queen. 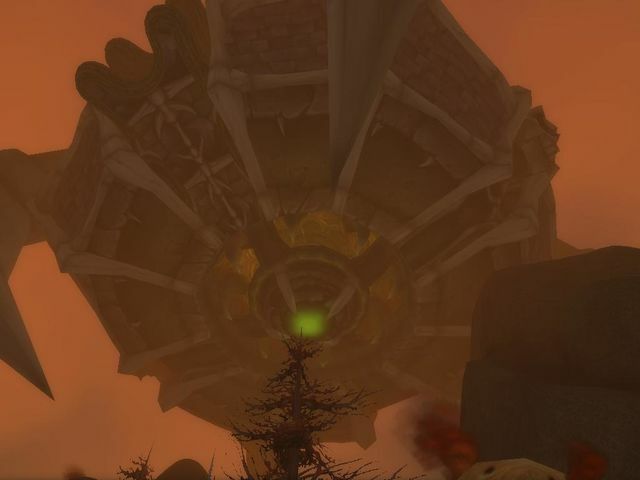 Remember that the Forsaken are mere victims, and we must show them the mercy of the Light and grant them a final death so they may finally be at peace. Deep down, this is what they want, even if they resist your attempts to save them from themselves. 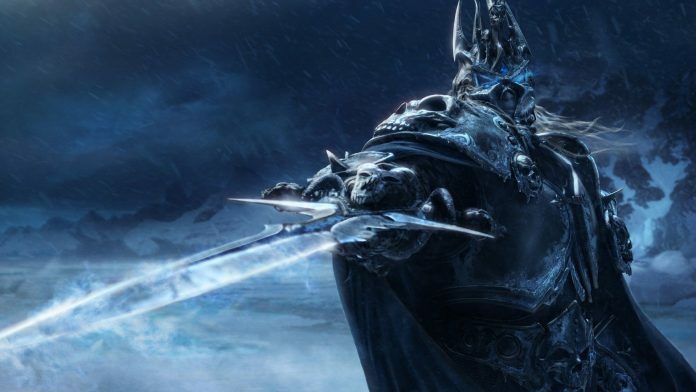 After the defeat of the Lich King at the Battle of Light's Hope Chapel, the Death Knights that had been held under the control of the Lich King suddenly became free of his control - the Lich King's grip weakened by the power of The Light. The Ebon Blade took control of Acherus: The Ebon Hold after the battle, destroying all the Scourge within, and used it as their base to launch attacks against the Lich King during the Argent Crusade's campaign in Northrend. At the behest of Highlord Tirion Fordring, King Varian Wrynn of Stormwind pardoned these former agents of the Scourge. Their free will restored, they had now pledged themselves to the Alliance and intended to bring war against the Lich King. A few of Kul Tiras' valiant Marines had also fallen under the control of the Lich King, and with their free will restored - rejoined their brothers and sisters in arms under the banner of Kul Tiras, but remained suspicious of the Ebon Blade's leadership and outright hostile to the Horde filth within the organization. The Undying Marines are the Marines who made the ultimate sacrifice and gave their lives for Kul Tiras - only to be raised against their will by either the Lich King or Sylvannas to fight against their brothers and sisters in arms. The Knights of the Ebon Blade were not the only Undead who have been held under the necromantic grip of an undead tyrant. Many more were killed and simply raised into Undeath to be cannon fodder in the Lich King's armies. Others still survived the wars against the Lich King, only to have their graves desecrated by agents of the Banshee Queen Sylvannas Windrunner - and forced into an existence of damnation. 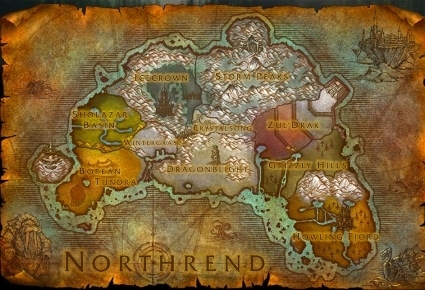 They come from various conflicts, some from the campaigns in Kalimdor, Northrend and the Eastern Kingdoms or shipwrecked victims on the Broken Isles and other locales. They all share one thing in common: they refuse to serve any Lich King or would-be Lich Queen, and will use whatever time they have to make sure that no others suffer damnation and the curse of Undeath - and they hope for the day when their mission is done so they can also end their miserable existence knowing that justice has been done, and to serve as a reminder that the Kul Tiras Marine dedication to Duty never dies - and are a testament to the Marine Code of Honor that no Marine is ever left behind.